[1:08] <brguy> Redex, we are not in 1997. Deatl with it. [1:10] <Redex> haha for sure! [1:14] <ChaozHenchman> what about Cranberry Pi? [1:14] <brguy> raspberry is quite good. [1:20] <Armand> I want a Picade. [1:24] <Redex> grab an old CRT TV and your 2/3rds there ! [1:24] <Redex> makey makey - for the joy pad ! [1:25] <Armand> LCD, of course.. CRT is just to big and heavy. [1:25] <brguy> don't need a big screen, maybe portable? [1:25] <Armand> Well, I can get a 15" LCD easily enough. [1:27] <bel3atar> need help. I can't order a board in Morocco. [1:28] <brguy> Armand, for sure! [1:29] <aDro> If i had all the money in the world. [1:29] <aDro> bel3atar: how do you expect to pay for the pi? [1:32] <brguy> bel3atar, you don't need to be a friend of anyone. Just go to a Computer Science department at the next university you have around you. [1:32] <bel3atar> brguy: then what? [1:33] <brguy> bel3atar, talk to a professor at the univeristy. He buys for you and you pay for him. [1:33] <elek> whats the default raspbian root pw? [1:33] <brguy> Not a big deal. [1:35] <brguy> bel3atar, ahm... you should ask him first for CC? Omfg this is an university not a drug dealer. [1:36] <Aebleskiver> bel3atar: You write a message to Raspberry Pi Foundation to ask if they have any contacts in Morocco? [1:36] <brguy> bel3atar, I think you should go and try at university first. You can't do anything without trying. [1:38] <brguy> bel3atar, because people at university use to research and because raspberry is something new then it's interesting. And maybe they already have. Also, at university researchers usually go to international events and because of that they usually have international cards. [1:39] <brguy> bel3atar, what I'm trying to say is: talk about your problem with someone who is from the Computer Science area because they will understand you. What else we can do in IRC for you? [1:41] <brguy> bel3atar, how old are you? [1:42] <Aebleskiver> bel3atar: Have you tried a Chinese distributor of Raspberry Pi? [1:42] <brguy> I think you don't know universities well. Are just saying without at least trying. [1:42] <brguy> Aebleskiver, the problem isn't about shipping. [1:42] <brguy> He doesn't have a Credit Card. [1:43] <brguy> Aebleskiver, maybe he is just a troll. [1:43] <brguy> don't take too serious. [1:45] <Redex> MUDs anyone remember them? [1:46] <Aebleskiver> bel3atar: You should become Morocco distributor for Raspberry Pi maybe, set up arrangement or something..
[1:47] <dr_willis> Become the Pi King! [1:49] <Redex> what projects will you do on the pi bel3atar ? [1:49] <brguy> Armand, are you there? [1:49] <Redex> when you get one , whats the first thing you'll do ? [1:50] <bel3atar> Redex: I don't know yet. [1:50] <Armand> Me too.. I've seen it done. [1:51] <Redex> have you seen makey makey ? [1:51] <Redex> check it out! [1:52] <Redex> you watching it ? [1:53] <Redex> the mario playdoh ..
[1:54] <Armand> I've been looking at making pressure buttons, with resistive foam. [1:56] <Aebleskiver> bel3atar: Ahh it looks like you found a company in Morocco to buy from! [1:56] <Redex> Armand: whats the plan with the foam ? for gaming ? [1:57] <Armand> Yeah, to make the controller buttons. [2:00] <Redex> bye - may the pi be with us all! [2:05] <bel3atar> The phone number in there is not valid anymore. The numbering system changed. [2:27] <wowpin> hello crowd, test message, can you hear me? [2:28] <SgrA> What is new in the new Arch Linux image released on 22 Jan? [3:49] <xiambax> Think I may do a slackware webserver. [3:49] <brady2600> anyone here using a powered hub for their pi? [3:49] <brady2600> to power their pi, and use usb devises with it? [3:49] <brady2600> what should i look for when i go to best buy? [3:58] <xiambax> I have bad blood with future shop and best buy. So I will recommend cheaper options at all costs. [3:58] <xiambax> Think of the savings! [4:09] <MrJones> http://fpaste.org/PwT1/ can someone help with this? some weird python error broke the debconf upgrade, so I tried a reinstall of debconf and then the reinstall part of the reinstall failed, and now I cannot even install debconf again. [4:14] <debenham> The problem is that python is a bit messed up. [4:26] <dj_pi> does anyone know what state the SPI pins on the RPi idle at? [4:41] <MrJones> should I try the same command with debconf? [4:45] <MrJones> btw does anyone know a nice active (external power supply) usb hub? [4:50] <debenham> bare-bones arduino controlling 4 sets of RGB light strips (via TLC5940 PWM chip ;)) and reading from an old hacked doorbell (hooked in where led on receiver normally is) - all passing to a pi via level-shifter to onboard UART. [4:54] <r4> From a performance standpoint...how beneficial is using Raspbian (floating point) over Arch? [5:00] <libc> any particular reason for switching? [5:03] <r4> debenham: isn't their a soft-float version of raspbian? [5:03] <MrJones> there is, but why would anyone use it? [5:04] <r4> then i guess the next real question is...how safe is it to overclock to 1 GHz? [5:17] <cellofellow> The plan is to use an Android or iOS remote to control XBMC. [5:22] <cellofellow> debenham: what do I need? [5:39] <cellofellow> hmm, part way through the install process the network connection (wired ethernet to my laptop working as a wifi bridge) drops, and then it tries to download the rootfs and can't so it reboots. It's done that several times. [5:39] <cellofellow> I have a wifi dongle, can I use that somehow? [5:39] <SixtyFold> anyone have arch installed on pi? [5:53] <TAFB> did the new kernel update break yours? [6:04] <SixtyFold> you have kernel 3.7.3? [6:29] <cellofellow> through ssh, how do I set up the wifi? [6:33] <dr_willis> but i forget the name..
[6:33] <cellofellow> This is a wep connection (I know, dumb) most stuff I see is for WPA. [6:35] <dr_willis> im not on a pi so cant look. [9:06] <Peetz0r> Okay, so I mudered my rev2 Pi yesterday by conencting a phone to the usb port. It still doesn't work now, so I don't think the polyfuse is the problem. [9:06] <Peetz0r> Anything else I can do? [9:13] <Pitel_IPEX> I am tryuing to send mail from CLI... but it says command "mail" is not found. Does anyone know i what package is it? [9:18] <Peetz0r> do you have a working smtp server somewhere? [9:23] <Peetz0r> you're using DokuWiki? [9:26] <nid0> back to the original question, mail() is part of the php core and needs no configuration for the command itself to work, precisely what error were you seeing? [9:38] <Peetz0r> Pitel_IPEX: what did you try to do exactly? [12:26] <simonkey> hello folks, can anyone here run nano? its not possible to edit anything. [12:29] <linuxstb> simonkey: In Raspbian? [12:29] <simonkey> do you know of a stable release? [12:30] <linuxstb> simonkey: Can you create a new file, e.g. by typing "touch myfile.txt" ? [12:30] <linuxstb> Sounds like your install is messed up then. [12:37] <simonkey> its a toy really, isnt it? would anyone know of a board a bit more stable and robust? [12:38] <FR^2> simonkey: My first one (A variant, 256MBytes) runs perfectly stable for weeks; A newly purchased from RS (variant B, 512 MBytes) is crap. [12:38] <osfameron> simonkey: if you don't need the capability of a pi, try an arduino? [12:38] <osfameron> I don't think any of the current full Linux distro capable boards are much more robust are they? [12:43] <dape8708> ok, dreaming over, the Pi is great as it is at this price. [13:03] <RaTTuS|BIG> use the HDMI audio ? [13:14] <Viper-7> nid0: they dont tick all the boxes, but have you checked out the offerings from olimex? 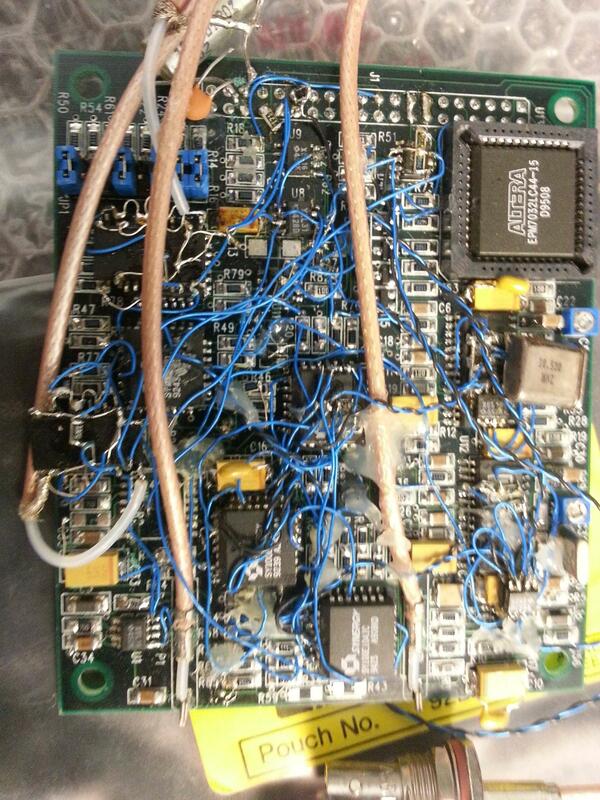 [13:14] <Joeboy> I have some stranded copper wire I want to stick into a solderless prototyping board. Is it wise / unwise to tin the ends? [13:15] <Joeboy> Will I screw up my prototyping board? [13:21] <Joeboy> Viper-7: If you were me, would you go out and buy a set of those or would you just plug the goddam wires into the board, right now? [13:31] <double-you> my atheros wifi dongle keeps disconnecting when downloading something... any ideas? [13:40] <Redex> using the edimax nano wifi , works a treat, sounds like its a power issue tho - does the dongle work fine for other devices? [13:46] <Redex> did you say you are putting in 2.5A? into the pi ? [13:48] <Redex> hmm dont have that set up.. can you power it separately for a test? [13:57] <Redex> ie do you know for sure the wifi is crashing, does it get part way ? [14:27] <simonkey> how do i tell if i have a dodgy/crappy pi? [14:27] <Armand> Is it made from toffee? [14:28] <Bochi> if it barks, it might even be a doggy pi. [14:29] <Redex> dy: has wifi ever worked ? [14:39] <Redex> can you ping your router? [14:44] <azk> pronto: is it outside? [14:47] <chris_99> pronto, that's way out of focus! [14:54] <wiuempe> how to do it? [15:09] <shirish> hi all, does anybody how to update the firmware from a linux machine ? [15:10] <shirish> I am seeing this http://elinux.org/R-Pi_Troubleshooting#Updating_firmware but no instructions are provided how to do it. [15:17] <shirish> RaTTuS|BIG: if the above is for me, please tell me how ? [15:17] <shirish> RaTTuS|BIG: wait a minute, for 1st partition do you mean the FAT partition ? [15:24] <shirish> RaTTuS|BIG: thanx, d/l them and copying them to the FAT partition . [15:56] <shirish> start from the beginning. [15:56] <shirish> I have a pi dunno if it's model 'A' or model 'B' any way to know for sure ? [15:57] <IT_Sean> But, to further answer your question, the B has 2 USB ports, and ethernet, The A has one USB port, and no ethernet. [15:58] <shirish> IT_Sean: so it's a model 'B' but how to know if it's the 256 MB one or the 512 MB one ? [15:59] <Jck_true> shirish: Does it say "Made in the UK" anywhere? [15:59] <IT_Sean> Ahh... that's an entirely different ball of fermented cheese. [16:00] <shirish> linuxstb: I can't read it, it's too small to know. Any other way. I do the FN No. with me. [16:00] <Jck_true> shirish: Does your board have mounting holes? [16:01] <shirish> Jck_true: no idea what mounting holes are, but if you are saying if there are any free holes, doesn't look like it. [16:02] <linuxstb> shirish: If you have Linux up and running, do "grep ^MemTotal /proc/meminfo" - what does that say? [16:02] <shirish> linuxstb: that is the other problem. [16:03] <shirish> linuxstb: what is happening is the keyboard and the mouse are being rejected by the pi although the keyboard and mouse are good. I tested them. [16:03] <shirish> linuxstb: I do get some errorno while starting up and then blank screen. [16:04] <shirish> of the board. [16:05] <pronto> shirish: Receiving objects: 100% (31396/31396), 908.83 MiB | 1.64 MiB/s, done. [16:05] <pronto> shirish: 1.1G . [16:05] <shirish> pronto: whopee, good I didn't do that it would have take me ages to download the repo. [16:09] <shirish> Jck_true: see the copyright years just below the raspberry logo the second one says 2011.12 while the first one just says 2011, mine says 2011. [16:09] <shirish> Jck_true: also the color of the ethernet connector is black rather than whatever the other color is. [16:10] <shirish> Jck_true: the mounting holes thing , was that near the GPIO pins which I see on the left above ? [16:11] <shirish> Jck_true: if those are the holes, they are absent in this one. [16:11] <gordonDrogon> Blue 3.5mm jacks on my Rev 2's. [16:13] <shirish> gordonDrogon: mine is black, that the audio connector not the ethernet, my bad. [16:14] <shirish> mgottschlag: well, not into geekspeak so don't really know that. [16:15] <shirish> IT_Sean: so yes it's Rev 1. [16:16] <shirish> Jck_true: now for the usb k/b and mouse not responding I was told to try to upgrade the firmware using the SD card, is that the way to go ? [16:16] <shirish> for all :- now for the usb k/b and mouse not responding I was told to try to upgrade the firmware using the SD card, is that the way to go ? [16:17] <shirish> I get some errNo. while booting up and the screen goes into blanking. [16:18] <shirish> mgottschlag: o.k. cool. One of my friends who's into this GPIO thing would love it. [16:18] <mgottschlag> also, any exact error message? [16:21] <shirish> mgottschlag: would have to try multiple times to get the whole thing written down. Probably do it tomorrow. [16:24] <shirish> Jck_true: o.k. will try that. [16:24] <Jck_true> shirish: You have a multimeter? [16:24] <shirish> Jck_true: not atm but can be borrowed. [16:27] <shirish> Jck_true: can spot TP2 which is near the yellow component cable connector, trying to find TP1. [16:27] <shirish> Jck_true: it's near the Pi logo. [16:30] <shirish> Jck_true: thanx, will attempt to get a multimeter and see tomorrow. [16:32] <shirish> Jck_true: it's a brand new k/b bought for this, and tried it on a desktop, no issues there at least. [16:34] <IT_Sean> What kind of kbd is it. Is it a big fancy one? with lots of extras? or a very simple one? [16:35] <IT_Sean> Also... what is the rating on your power supply. [16:43] <shirish> Jck_true: thanx for imparting that know-how. [16:44] <IT_Sean> Not familiar with that one. Pretty basic? [16:45] <shirish> IT_Sean: dunno if it's basic or not. [16:46] <IT_Sean> Is it backlit? Does it have an LCD screen? Is it a gaming keyboard, or a normal one? Do you understand the definition of the word "basic"? [16:47] <shirish> IT_Sean: no, no backlit or LCD screen, nor gaming k/b . It is normal . [16:47] <IT_Sean> Okay. So, it should work, in theory. [16:47] <shirish> IT_Sean: guess it's 'basic' then. [16:47] <IT_Sean> What is the rating on your PSU? [16:50] <IT_Sean> 4 - 11V AC??? [16:50] <shirish> IT_Sean: I'm just sharing what's written on the box of the PSU. [16:51] <IT_Sean> that sounds highly suspect. [16:51] <IT_Sean> What sort of supply is it? [16:51] <IT_Sean> Is it meant ot be used to charge a USB device? [16:51] <ryao> If the Raspberry Pi gets stuck on the colorful boot image (not showing the kernel), should I assume that the kernel image is bad? [16:52] <shirish> IT_Sean: it's a mobile charger thing. [16:54] <shirish> IT_Sean: o.k. would do it. [17:00] <xiambax> my rpi comes today! [17:02] <shirish> mgottschlag: didn't know that. [17:12] <IT_Sean> Hopefully you didn't damage anything on the pi. disconnect it now. [17:12] <shirish> IT_Sean: not using it atm. [17:12] <shirish> IT_Sean: don't really know if it's AC or DC but all the current coming to my home is AC. [17:13] * shirish not really into electricity. [17:13] <IT_Sean> Well. yes. Of course it is. [17:13] <IT_Sean> But, the power supply can still be DC. [17:13] <IT_Sean> It could, yes. [17:14] <IT_Sean> I have no idea what type of power sully you are using, though. [17:14] <IT_Sean> And based on what's written on it, it sounds highly dubious. [17:14] <shirish> IT_Sean: how do I/can I know that ? [17:15] <IT_Sean> And if you don't know what any of that means, you should do some googling and give yourself a lesson in basic electronics. [17:16] <shirish> IT_Sean: no offence taken at all. It's just that I don't know. [17:16] <IT_Sean> And thats fine. It's just that the wrong type of power supply can destroy your shiny new toy, and we'd all hate to see that. [17:17] <IT_Sean> I'm happy to try to answer any questions you have on the subject. Just be aware that i may not respond straight away, as i am at work. [17:18] <IT_Sean> For now, i would recommend going to RadioShack, or some other electronics store, and getting a generic mobile phone charger. Just make sure it can output 750mA or greater. [17:19] <IT_Sean> ... and that it uses a USB connector. [17:19] <IT_Sean> If you have a modern mobile phone, or a kindle, or an iPad, or similar, you can use the charger for that. [17:24] <IT_Sean> There are no versions of windows that will run on the ARM processor the Pi uses. [17:25] <IT_Sean> It has nothing to do with speed. [17:25] <IT_Sean> Win CE? I'd rather rip my own eyeballs out. [17:26] <IT_Sean> Yeah... be happy with a *nix distro for it. [17:26] <IT_Sean> I actualyl did like it. I had an iPaq HX4700. It was nice. [17:26] <IT_Sean> I still have it sitting in a drawer somewhere. [17:29] <elek> does anyone know if mono works on raspbian? [17:30] <IT_Sean> totic: What version of 'buntu are you running? [17:30] <mdik> hi. anybody running a distributed search engine like YaCy on the rpi? [17:31] <IT_Sean> Nice. I had 12.04 on my ThinkPad until recently. I replaced it with Mint 14. [17:34] <Torikun> IT_Sean: is that the tablet version that has a swivel monitor? [17:34] <IT_Sean> I paid about $1200 for it, BTO, with some options. [17:35] <IT_Sean> I keep computers for a looong time. My last laptop served me for 10 years. so... when i do buy a new one, i buy top of hte line. [17:35] <Torikun> you run win7 on it? [17:36] <Torikun> touch screen works? [17:36] <IT_Sean> Multitouch, and stylus. [17:36] <IT_Sean> Both work brilliantly. [17:37] <IT_Sean> The only options on mine are the multitouch display (non-ooutdoor), and the extended battery. [17:55] <Torikun> did you get it working yet? [18:08] <mdik> I'm kinda astonished that yacy is the only distributed search engine out there. [18:39] <TheBlunderbuss> Hey all! Just got my new RasPi ! [18:51] <pronto> ...so in theory, could you hook a USB devicee to a breadboard, then the 2/3 (data) pins to the usb on the Pi, an dthe 1/4 pins (+5v and GND) to the GPIO, so then be able to control if the usb device gets power in software? [18:55] <pksato> Direct no. 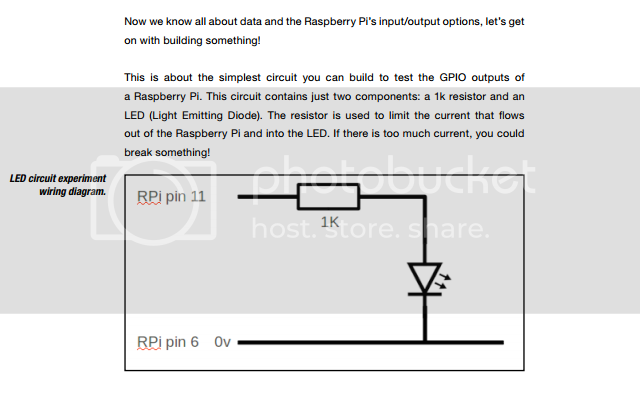 Need some circuit to switch power from GPIO pin. GPIO only draw 16mA. 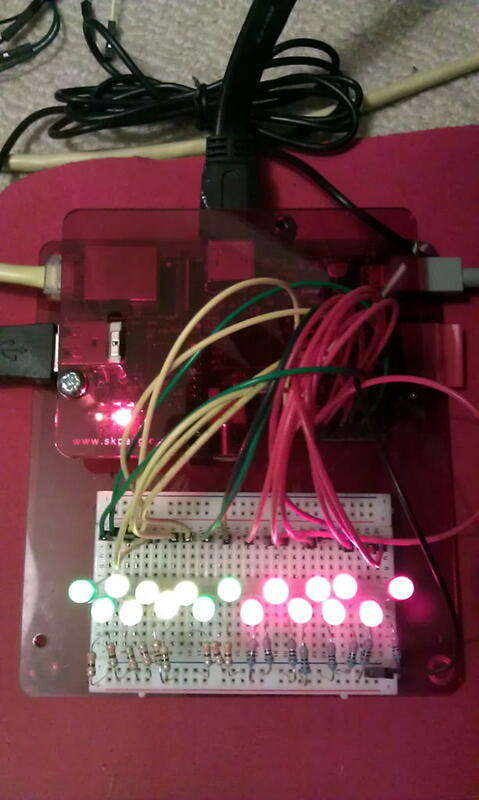 [18:56] <pksato> and GPIO are 3.3V, USB power is 5V. [18:59] <pksato> If you have a 500mA P-Channel mosfet, it is very simple circuit. [18:59] <pronto> http://www.newark.com/vishay-siliconix/si1025x-t1-ge3/p-channel-mosfet-60v-500ma-sc-89/dp/16P3677 pksato ? [19:00] <pksato> yes, like it. But it is a SMD. Very hard to work. [19:02] <pronto> pksato: meaning i should look for something simlar to work on abread board? 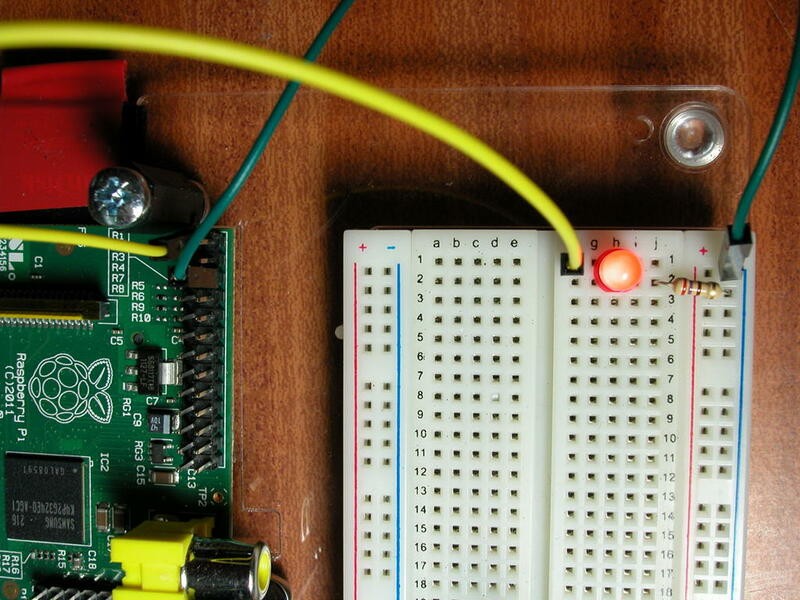 [19:15] <arcanescu> hopw do you enable gpio access on the pi? [19:28] <arcanescu> the 'high' on the gpio is what voltage? [19:31] <damianos> bringing in midi signals via GPIO the CPU was at 40% at IDLE. [19:37] <yahtaa_> what would be the correct syntax for using the -r (framerate/resolution) command on omxplayer? [19:44] <yahtaa_> what would be the correct syntax for using the -r (framerate/resolution) command on omxplayer? [19:45] <IT_Sean_> yahtaa_: is there a MAN page for it? [19:45] <sofyan> did anyone succseed using E173 huawei 3g dongle? [19:46] <IT_Sean_> Sorry... I don't know. [19:52] <double-you> anybody has an edimax EW-7811Un? [19:53] <double-you> as good as a dongle which size is 10 times larger? [19:54] <Redex> dy: still having trouble ? [19:55] <sofyan> did anyone succeed using E173 huawei 3g dongle? [19:56] <sofyan> double-you: u used AT commands right? [19:57] <sofyan> double-you: can u give me a link of how u did it? [19:58] <murphycr> Is there a reference for what providers use what? ie is there a dongle that is RPi compatible that I could use on T-Mobile USA? [20:32] <Armand> pronto, that's awful! [20:35] <pronto> the /boot/config file? [20:35] <[ill]will> anyone good with regex? [20:36] <SanMysterious> perhaps i need to boot up the pi and look in /proc/config.gz then? [20:40] <pronto> # Automatically generated file; DO NOT EDIT. [20:42] <pronto> Job-: i'm going to take a guess.. you're trying to display a webcam? [20:43] <pronto> known good cam? [20:43] <dero> guys, following problem: no sound when doing "hdmi_force_hotplug=1"
[20:45] <Flipo> Hello, I see a lot of GPIO switch/button tutorials using a 10k pullup resistor to work, but If I understand correctly, isn't there built-in resistors on the pins that could be used instead ? [20:47] <pronto> -L Query valid video formats. [20:47] <pronto> Job-: also, what kind of webcam is it? [20:54] <IT_Sean_> darn. It is. wow. [20:54] <IT_Sean_> don't be silly. [20:55] <Torikun> their loosing millions of dollars now! [20:56] <Torikun> is ec2 down? [20:56] <JakeSays> any suggestions on a jabber server for the raspi? [21:07] <linuxthefish> anyone here use a power supply other than a USB phone charger thing? [21:23] <feeshon> Anyone have any idea? [21:23] <pronto> FREDR1K: question, have you tried doing what the error says to do? [21:24] <DoWhileGeek> Have I fried it somehow? [21:24] <feeshon> DoWhileGeek: what video connection are you connected to? what distro are you using? [21:24] <IT_Sean_> Lets start from the beginning... what distro is on your SD card? [21:24] <DoWhileGeek> I put the cobbler expansion thing on there, but I dont think that'd do anything bad. [21:25] <IT_Sean_> Did it ever boot? [21:25] <IT_Sean_> i.e. was it working, and then stopped? [21:25] <IT_Sean_> Unplug everything. Try it with just the powr supply, video cable and SD card. [21:25] <IT_Sean_> Did you write the OS to the SD card? [21:26] <IT_Sean_> Are you using the same power sully now as you were when it was booting properly? [21:27] <IT_Sean_> Have you done anything that may have corrupted the SD card? i.e. sudden shut downs... updates... etc...? [21:27] <IT_Sean_> It sounds like it cannot find the OS to boot. [21:27] <IT_Sean_> Do you HALT the system first? or just yank it? [21:27] <IT_Sean_> You'vep robably corrupted the SD card. [21:28] <IT_Sean_> re-flash it, and retry. [21:28] <DoWhileGeek> is there a way to shut down a pi via ssh? [21:28] <IT_Sean_> The halt command should do it. [21:28] <IT_Sean_> or the shutdown command, i would thing. [21:29] <IT_Sean_> aye... halt just stops the OS. You need to then unplug it. [21:29] <elek> i recall there being a github project that searched or updated firmware, does anyone happen to know the name? [21:30] <linuxthefish> is 4.79 volts on my pi ok? [21:30] <IT_Sean_> it's within the range. [21:33] <IT_Sean_> linuxthefish: what's the rating on the PSU? [21:55] <linuxthefish> any dangers with using a 5amp power suply? [21:56] <IT_Sean_> The Pi will only draw what it needs, up to 700mA. THe output rating on the PSU is the MAXIMUM that psu CAN supply. [21:57] <IT_Sean_> There is NO protection on the GPIO ports! [21:58] <IT_Sean_> make sure it's non-conductive tape! [22:00] <IT_Sean_> The raspberrypi board will only draw up to 700mA. Even if you are using a 5A supply. [22:01] <IT_Sean_> i.e. it will only have 700mA "flowing through it"
[22:02] <IT_Sean_> That said, you CAN use a 5A supply safely. [22:02] <murphycr> agh. so that wierd issue I had yesterday was because I had the ribbon cable going to the cobbler backwards. The Pi still functions, but should I be worried that I now might have 'dead' GPIO lines from potentially shorting them out, or would it have fried the whole chip? [22:03] <IT_Sean_> If you managed to short anything, you probably would have released the magical blue smoke. [22:04] <IT_Sean_> well... get testing then. [22:04] <IT_Sean_> Besides... if you did nuke it... a replacement will be cheap. [22:05] <IT_Sean_> That's part of the beauty of the raspi. It's not a $1,200 laptop you need to worry about and baby. It's cheap enough you can afford to make mistakes with it. [22:06] <IT_Sean_> that's... ... That's just poor. That's a prime example of start over and route the board again. [22:07] <IT_Sean_> murphycr: if it makes you fell better... I've released the magical blue smoke from much more expensive stuff. [22:08] <IT_Sean_> I was working on an embedded device that the company i was working for manufactured. Mind you, this was a prototype. One of only two in existence. At a pre-production build cost of around 5k. [22:08] <IT_Sean_> I knocked a metal bodied pen off a shelf onto the main board. shorted 12v to 3.3v lines. [22:09] <IT_Sean_> I had been working there all of three days at the time. [22:10] <Armand> Or, was it the other way?? No matter. [22:10] <murphycr> Armand: What happened? [22:11] <IT_Sean_> a 110v PSU plugged into 240 goes BANG. a 240v PSU into 110 also goes pop, but less dramatically. [22:11] <Armand> Ohh, this was like a gunshot. [22:12] <IT_Sean_> At the same job, we got a pile of secondhand Cisco switches in. [22:12] <IT_Sean_> I was given the job of testing them. [22:12] <IT_Sean_> They all tested fine 'till i got to Big Bertha. A monster 4 RU jobbie. [22:12] <IT_Sean_> The PSU exploded. [22:12] <IT_Sean_> Shot the capacitors clear off the board. [22:13] <IT_Sean_> Dented the lid with 'em. [22:13] <IT_Sean_> People two buildings over heard it. [22:13] <IT_Sean_> My hearing wasn't quite right for days. [22:13] <Armand> That was funny..
[22:15] <IT_Sean_> I've released the magical blue smoke from lots of devices. [22:15] <IT_Sean_> It sort of happens, sometimes. [22:15] <IT_Sean_> I used to work with a lot of prototypes. [22:16] <IT_Sean_> 48v to 3.3v leaves trenches in the board where the 3.3v traces USED to be. [22:16] <IT_Sean_> ... and creaters some very expensive ICs. [22:20] <Armand> I have a switching controller on the way, which will control my 240v transformer... the controller itself is all 12v DC though. [22:23] <IT_Sean_> That's just mean. [22:24] <_pash> hello, ordered my raspberry pi today =) good decision? gonna be doing some hacking soon! [22:24] <IT_Sean_> _pash: Def'nitly a good decision. [22:24] <IT_Sean_> There are no rules against releasing of the magical blue smoke. [22:25] <IT_Sean_> Well... I'd start by writing the OS to the SD card, and booting the thing. [22:26] <LordThumper> Hi, has anyone managed any kind of GBA emulator on the Pi? [22:27] <_pash> murphycr: really? well i heard it was a bit laggy? or no? [22:30] <_pash> i've bought the B model.. thats the only one shipped right now ye? [22:33] <mdik> LordThumper: have you tried mednafen (sudo aptitude install mednafen)? [22:33] <mdik> DoWhileGeek: has it ever booted? [22:35] <DoWhileGeek> mdik: yes, It has a lot before today. Someone suggested that when I pull the plug without shutting down the os caused a corruption with the sd card so I wrote a new img and it still wont boot. [22:35] <IT_Sean_> _pash: yes. Only the B is out right now. [22:37] <DoWhileGeek> is there a way to test? [22:40] <cityLights> did this works for anyone? [22:42] <Armand> Works fine on mine. [22:46] <qasd> Does it make sense to make a mediacenter from a raspberry? pricewise? fnctionalitywise? [22:51] <IT_Sean_> feeshon: there is no protection on the GPIO. [22:55] * KiltedPi has got his breadboard, tactile PCB switch, LED and resistors. [22:56] <gordonDrogon> KiltedPi, what are you driving? [22:56] <cityLights> Armand I am using 32 now and I see 121Mb total memory - does this make sense? [22:57] <Armand> cityLights, none at all... to me. [22:58] <qasd> hybr1d8: What about storage, can i just connect an external harddrive? [22:58] <gordonDrogon> 2 x AA's won't drive a Pi..
[22:59] <gordonDrogon> does the circuit need extra power? [22:59] <pksato> 3v to power led from simple transistor switch. [23:00] <gordonDrogon> unless they're really high power LEDs you don't need transistors..
[23:00] <cityLights> can I deactivate the ethernet and gpu to reduce power usage? [23:00] <pksato> modern LED have a high brigth with low corrent as 5mA. [23:01] <KiltedPi> I know software tho! [23:01] <gordonDrogon> a 50mA LED - that's one BIG led! [23:01] <IT_Sean_> that's in the "Signal ET" catagory. [23:01] <gordonDrogon> I have connected some 80mA LEDs though. [23:09] <qasd> @IT_Sean_: why a powered hub? [23:10] <sofyan> anyone knows how to fix it? [23:15] <KiltedPi^> okay to PM you? [23:16] <qasd> but a HDD is quite expensive, 150$ for 500 GB. THAT+ RASP THEN MIGHT as well buy a cheap laptop almost. [23:17] <KiltedPi^> What kind of connector fits with the GPIO? [23:18] <KiltedPi^> So what should I get from Maplin? [23:18] <pksato> I dont know name of these conector, but it is very comon. [23:19] <pksato> 40 pin IDE ATA, are a flat cable. [23:20] <pksato> It is large, but, pin spaacinh are same. [23:24] <KiltedPi^> Joeboy- they look like they are twin females? [23:27] <qasd> but a HDD is quite expensive, 150$ for 500 GB. THAT+ RASP THEN MIGHT as well buy a cheap laptop almost. making your own media center ends up just as expensive? [23:28] <pksato> qasd: if but a new ones. [23:29] <KiltedPi^> How did you you cut off the end connector of your IDE cable? [23:29] <qasd> so pricewise, making your own mediacenter is cheaper if you are willing to put in some time yourself? [23:30] <Aebleskiver> qasd: Where you get your HD from? [23:31] <pksato> KiltedPi^: you can find some on old computer case. [23:31] <KiltedPi^> Dunno where to begin! [23:32] <KiltedPi^> Floppy! Jesus, how old are you guys! [23:32] <qasd> where do you buy? [23:32] <Aebleskiver> qasd: Look at Amazon maybe, lots of cheap HD there..
[23:33] <KiltedPi^> Any tutorials anywhere? [23:33] <KiltedPi^> Shame maplin dont have any, so its IDE for broke gais! [23:35] <KiltedPi^> Do I cut that bit off to make the female connector? [23:35] <KiltedPi^> That'll do nicely! [23:36] <hybr1d8> An IDE cable will have two or more connectors. [23:36] <hybr1d8> second link down when searching for "uk jumper lead female to male"
[23:36] <nemo> Hey folks. I was curious. How much raw power does that southampton rpi cluster have (gpu/cpu) - is it enough to truly call it a supercomputer? [23:37] <KiltedPi^> You hashing passwords or summink nemo! [23:37] <KiltedPi^> That'd do it mind you. [23:40] <Amadiro> I don't know what a server setup with 64 CPUs costs nowadays, but it's probably not that expensive anymore? [23:40] <Aebleskiver> Does the VideoCore IV have any kind of support for OpenCL or similar? [23:40] <KiltedPi^> Its pretty cheap for a super computer tho! [23:41] <nemo> Amadiro: hm. could you really get superior perf out of a $2k ordinary mobo + CPU? [23:42] <DoWhileGeek> lets say you accidentaly connect any given two GPIO pins. Could any possible combination fry your pi? [23:44] <qasd> so pricewise, making your own mediacenter is cheaper if you are willing to put in some time yourself? [23:44] <nemo> Amadiro: also, the RPIs, even full-throttle, are only sucking down like 4 watts a piece no? [23:49] <Aebleskiver> Would be nice to see a slightly more expensive Rasp-Pi based on AllWinner A20 or A31..
[23:57] <nemo> Amadiro: why not? [23:57] <nemo> Amadiro: unless you have a different idea of "extremely"
[23:57] <Tickle_> I recently installed a package but now I want to uninstall it, but when I do "sudo aptitude remove "package name", it does not remove all of the files, is there a way to fix this? [23:58] <Nik05> what does it remove? [23:58] <Nik05> aptitude purge "package name"? [23:58] <Tickle_> the package is "ircd-hybrid"
[23:58] <Nik05> *what does it not remove? [23:59] <pksato> purge remove conf. files. [23:59] <Tickle_> I assume I replace pkg with "ircd-hybrid"